Rest easy on one of these luxurious, comfortable mattress toppers. Mattress toppers add an extra layer of luxury. No doubt, investing in a good quality mattress is key especially when coping with scoliosis. Replacing a mattress is just too costly! In comes the topper. Investing in a comfortable topper could have a positive impact on your sleep quality. If you suffer with scoliosis, a memory foam topper is probably the most popular choice to help with relieving pain and providing proper spinal alignment while you rest. Here are a few key considerations to keep in mind when shopping for a mattress topper if you have scoliosis in order to provide you with the optimum support for the lower back and spine. For most people with spinal curvature from scoliosis it is recommended to look for firm or medium-firm mattress toppers. If you sleep on your back or your side, then this level of firmness is best since it provides support under the lumbar and thoracic areas. Choose from a variety of materials, including memory foam, latex, and gel memory foam, all of which are included on this list. 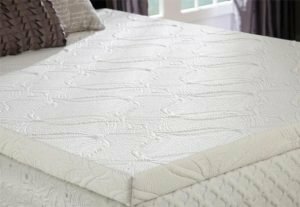 Memory foam continues to be a popular option with people suffering from back and neck issues, although there are a few key variants to consider when shopping for a firm topper. The general rule is to choose a topper with a density of between 4 – 5 lbs. per cubic feet. The height of your topper is also important— with those that measure between 3 and 5 inches proving to be the most firm. For optimum contouring to help ease the pressure around the hips, back, neck and shoulders and a springy surface to help keep the area above your hips from curving downward, latex mattress toppers are another great option. Latex toppers are measured in density, or indentation load deflection (IDL for short). The lower the IDL number, the less firm your topper is. A topper with a range of 20 ILD is considered “soft” and popular with side sleepers who are trying to alleviate hip or shoulder pain. A topper with a range of 30 ILD is considered “medium-firm” is best suited for back sleepers. And a topper with a range of 44 ILD is considered “firm” and can be amazing for your back. 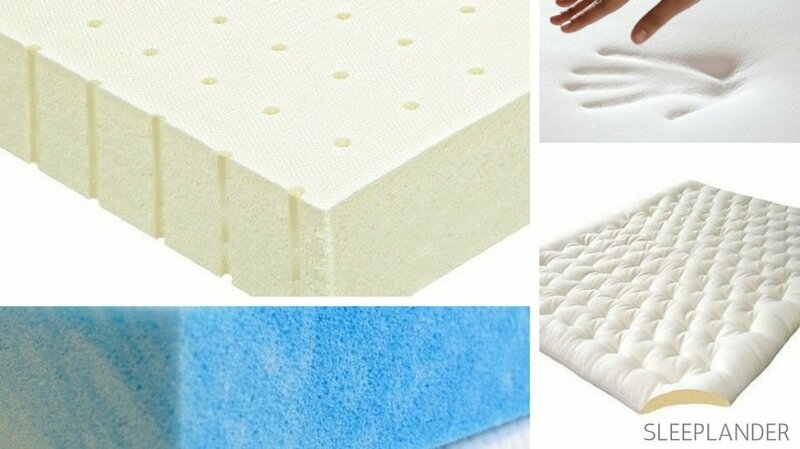 A 3” latex topper will provide the most significant change to a mattress. Finally while there are different types of latex toppers (Talalay or Dunlop) simply remember that an all-natural 100% latex mattresses is usually considered most desirable. This list of mattress topper recommendations for people with Scoliosis also includes options for hot sleepers, couples and budget-savvy shoppers. Prepare to sleep soundly. Here are some of the best mattress toppers for scoliosis relief designed to bring a little luxury and comfort to that mattress you’re not quite ready to let go. This Tempur 3-inch memory foam topper is designed just like the Tempur-Pedic specialized therapeutic mattress with pain relieving properties. The design conforms to the body and keeps your spine from sinking and curving into the bed. It is reasonably thicker and durable more so than regular mattress toppers. In addition, the topper responds to a body’s temperature, weight and shape distribution giving you comfort and support. The topper comes with a removable cover which can be washed regularly. It is allergen-resistant and breathable. The topper can be used on different mattresses to add on to the support and help in relieving back pain. Available in sizes: twin, twin XL, full, queen, king and king-cal. A generous 25-year warranty is also offered with this US made topper. Customers that bought this topper have been impressed with how well it improved the support of their own mattress . 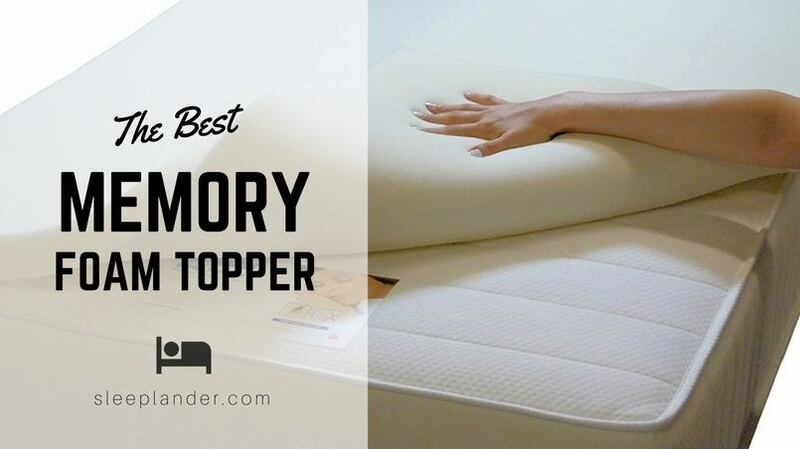 Although some users had expressed concerns about it being too soft, many agreed the Tempur mattress topper provided the needed support for back pain relief . This topper is undoubtedly the best for long-term use for both side and back sleepers with scoliosis. The Sleep EZ natural latex mattress topper is made from 100% natural latex which is known for its superior support and durability. Why choose latex over memory foam? A 100% natural latex topper feels the most supportive and it is great for pressure point relief and relief of back pain. Latex helps you to achieve a neutral spine position easing off the pressure from the back, shoulders and neck. This latex mattress topper is highly breathable since it has the open cell structure that promotes ventilation throughout it. Additionally, this topper is suitable for couples since it absorbs motion transfer well. You can customize this US handmade topper. Choose between 2″ or 3″ thickness latex and select between 100% natural talalay or 100% natural dunlop (GOLS certified) . Dunlop is the densest natural latex foam. Talalay goes through a vacuuming and freezing process which results in superior airflow and ventilation properties. Talalay also provides both optimum support and contour which eliminates pressure points. Choose to encase it in a luxurious organic cotton cover. Finally choose from 4 different firmness levels : soft, medium, firm and extra-firm. 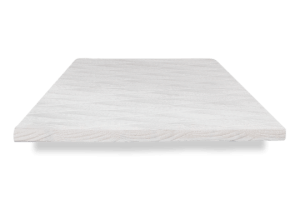 One of the features that sleepers appreciated about the Sleep EZ natural latex topper is the high support it gave in addition to their usual mattresses. Avail of the 90 day sleep trial to see the results you get for scoliosis relief from using this topper. It has the right balance between support and bounce for a comfortable and pain-free sleep. 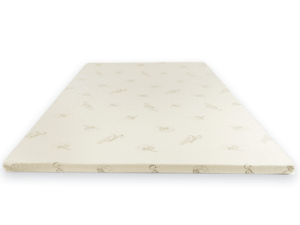 This 100% natural talalay latex toppers is a cost-effective way to enjoy the luxury feel of all natural latex at an affordable price. The PlushBeds Cool Bliss Gel Memory Foam Topper is a very comfortable pad handcrafted in the USA. It has a tightly knit cell structure which guarantees that it retains its shape. Gel memory foam is recommended for hot sleepers due to its open-cell structure and gel-infused foam which helps with heat dispersion. The topper is hypoallergenic and resistant to mildew and other allergens. It comes in 2″ or 3″ thickness and is available in bed sizes: twin, twin XL, full, queen, king and king call. This 4.0 lb. cool bliss gel memory foam mattress topper pad is an affordable way of getting relief and proper support for your back and joints. One of the features of the PlushBeds gel memory foam topper is weight distribution. It conforms to the body which helps to ease off pressure from the hips, back, knees and shoulders. This, in turn, translates to pain relief, superior comfort and comfortable sleep and this is good news for people with scoliosis who struggle to get comfortable at night. The 100% organic cotton cover is removable and machine-washable, however this is sold separately. Life expectancy of this mattress pad is around 10 years if looked after properly. PlushBeds Gel Foam is 30% cooler than traditional memory foams, so you’ll sleep cool and not overheat. 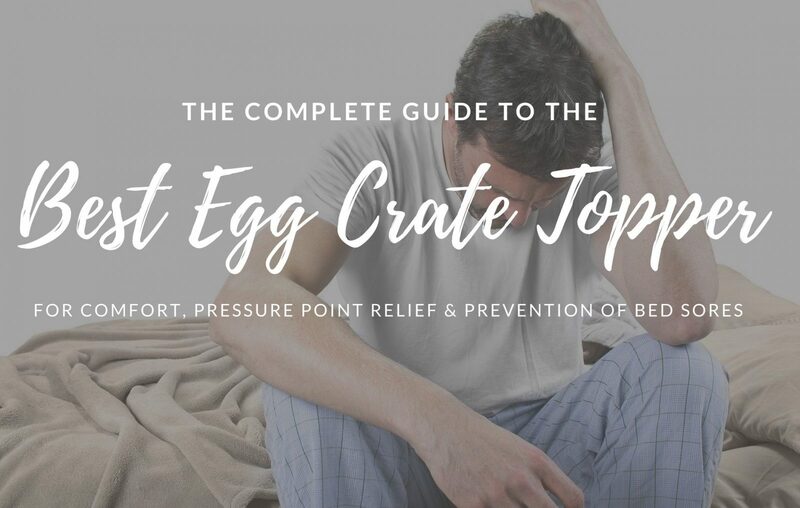 Sleepers mentioned how the PlushBeds cool gel topper provided a cool night’s sleep combined with pressure point pain relief without the “sinking” feeling. Those that suffer from severe back pain noted that this topper helped to relieve the pain after just a few days of use. Still others noted how effective it was at softening up their mattress, while other still found it more supportive than regular foam without the “sinking” feeling. The Nest Bedding Alexander Signature cooling mattress topper is 2” in thickness and is made with 3 lb. SmartFlow Gel Memory Foam . It feels soft like memory foam but a little more supportive. Gel memory foam sleeps 30% cooler than traditional memory foam. This topper will help if you’re overheating during your sleep. It comes with straps on all four corners to keep it in place as you sleep and is available in all bed range sizes. Memory foam conforms to the body giving you the extra support to support the torso as well as relief for the pressure points at your shoulders and hips. This cooling mattress topper is a good choice for scoliosis sufferers to save money without skimping on support. This topper cradles your body without getting hot and adds an additional element of luxury to your mattress. One major point that most customers echoed is the excellent support of the Nest Bedding Alexander Signature topper. It worked well with various mattresses and provided a soft yet supportive surface. There were some concerns about the cooling feature saying it remained hot. For extremely hot sleepers it reduced the heat and that’s thanks to its porous, breathable foam. It comes with a generous 100-day risk-free trial . Nest are offering Sleeplander readers 5% off with code: NEST5 when purchasing directly from Nest Bedding website. Just use the link below to get started. For couples who require different support this Pure Green™ Natural Latex Mattress Topper from Sleep on Latex would be your best bet. It is made from 100 % natural latex (not synthetic latex) so it will provide both cushion and support for your spine. The supportive and springy feel of latex combined with its durability is why latex is the choice of material for most sleepers. This topper is made of 30 ILD – 5 lbs/cubic ft foam and is the ideal choice if your own existing mattress is too hot or if your memory foam mattress caves in on you. Latex foam is much more supportive than the polyurethane foam. Regardless of the reason why, this environmentally friendly mattress which is free of harmful chemicals is an excellent and affordable topper you won’t be disappointed with it. The topper has a medium-firm feel which is ideal for people with back pain issues and is the most popular firmness for back sleepers. It is also great for couples seeking a compromise between firm and soft. It has the right balance between a soft bounce and a hard-firm surface helping you adjust quickly to a sleeping position you are comfortable with. With the open cell structure, the topper remains cool all night hence suitable for hot sleepers. Choose from 7 different mattress sizes. Those that tried this best-seller latex mattress topper from Sleep on Latex appreciated the cool feature and folk with lumbar issues benefited from the great contoured support. This affordable topper is also our top pick for those budget-conscious shoppers . Although the topper has a slight “new” smell , it fades away after airing which did not seem to be a concern among customers.